The Chabot community showed fantastic participation in International Walk & Roll to School Day on October 7th. 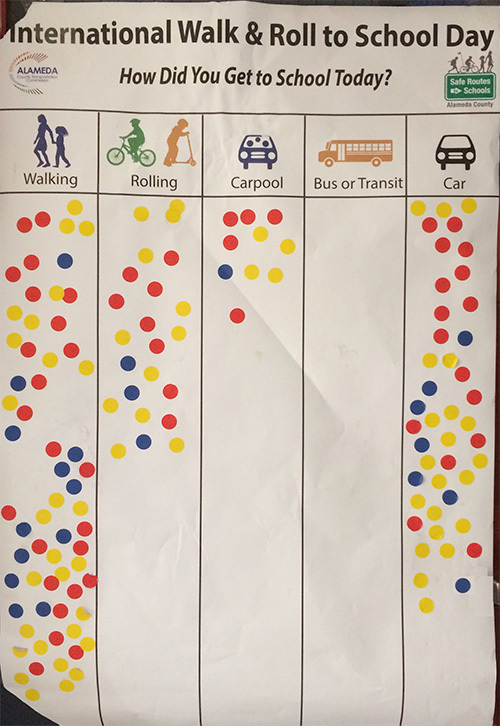 Over 240 kids registered their “commutes” with more than 150 kids walking, rolling, carpooling and busing to school! Many got to school on their own fuel for the first time, and others were reminded of how nice it can be to start the day off on a bike or using their sneakers. Hopefully this will be inspiration for kids to continue to walk and roll to school when possible.